Autumn is coming, and it’s high time to change the summer decorations of your beautiful porch onto fall ones. And here are some cool porch ideas: first of all, pumpkins! Use them for décor as you like – put them on the steps, on the porch, or put some vintage sideboard or even a trolley and all your pretty vegetables on it, it can be even cauliflower! Fall wreaths are amazing – make some personalized wreaths yourself using colors and materials you want, it can be anything from burlap to dried apples. Wanna make an unexpected accent? Make a scarecrow and put it on your porch! The scarecrow can have a pumpkin instead of a head. 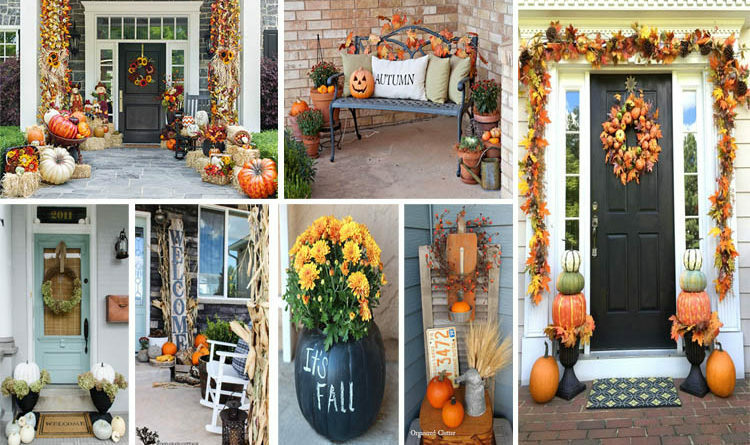 Have a look at more fall porch designs below and get inspired!